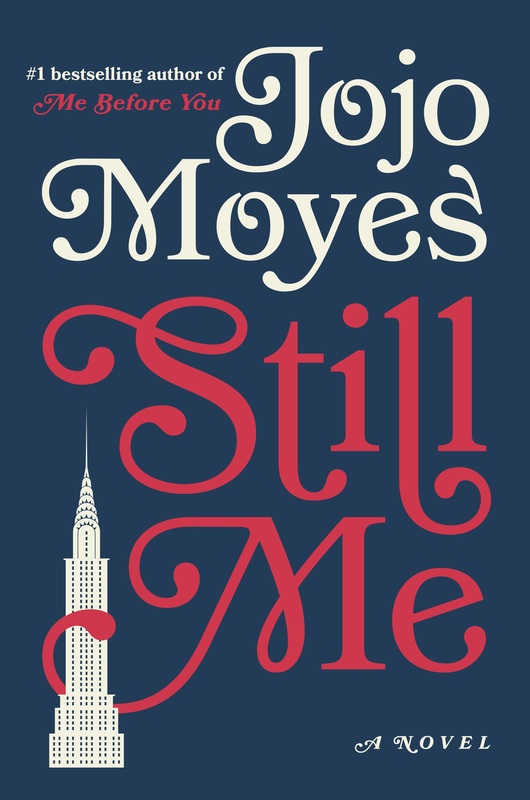 The first book I read of Jojo Moyes’ novels is her Me Before You, around the Spring of 2013. Perhaps I read it in my conservatory at the time of jasmine blossom. Later on the beautiful scent of jasmine comes to my mind when I recall Me Before You. I read a couple more of Moyes’ books afterwards. They make fun and lightweight reading materials. To me, books such as Me Before You, After Me, and Still Me are like gazpacho after wandering around the old towns in Europe in a hot summer day. Comfort food. Healthy too. Not having the prior knowledge of Still Me being about Louisa Clark starting a new life in New York, I picked it to accompany me on my way to New York recently. I was in need of some “comfort food” after traveling among multiple continents for a while. This book served that purpose well. As a book for the heart, it takes no brain power to read compared with others such as Erwin Schrödinger’s ‘Nature and the Greeks’ and ‘Science and Humanism’. Here lies my reason for having not written about the latter book, despite having read it on my trip to Switzerland in June. I simply need another journey to re-read it. Like Tara Westover says in her Educated, it is about having “the patience to read things I could not yet understand”. Back to Louisa Clark, she is a very uplifting character, figuring out her self and staying true to that, being bold in exploring the new world. 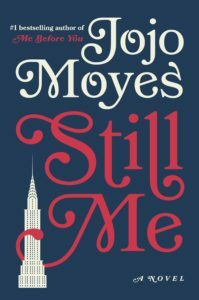 What I like most about Jojo Moyes’ trilogy is that Moyes tells the stories of a female protagonist. Reading that Louisa Clark, an extremely ordinary young woman, step by step, is doing something extraordinary with her life through exploration and small acts, is truly liberating. By the end of this book, Louisa Clark entered into an inspiring league of women for me, following Borgen’s leading character Birgitte Nyborg, Brünnhilde in Der Ring des Nibelungen and others. One key message similar to Educated is to permit oneself and have the courage to re-invent oneself. I had a choice. I was Louisa Clark from New York or Louisa Clark from Stortfold. Or there might be a whole other Louisa I hadn’t yet met. The key was making sure that anyone you allowed to walk beside you didn’t get to decide which you were, and pin you down like a butterfly in a case. The key was to know that you could always somehow find a way to reinvent yourself again. I thought about how you’re shaped so much by the people who surround you, and how careful you have to be in choosing them for this exact reason, and then I thought, despite all that, in the end maybe you have to lose them all in order to truly find yourself. Who was Louisa Clark, anyway? I was a daughter, a sister, a kind of surrogate mother for a time. I was a woman who cared for others but who seemed to have little idea how to care for herself. As the glittering wheel spun in front of me, I tried to think about what I really wanted, rather than what everyone else seemed to want for me. I thought about what Will had really been telling me- not to live some vicarious idea of a full life but to live my own dream. The problem was, I don’t think I’d ever really worked out what that dream was. Know first who you are and then adore yourself accordingly. All this nonsense about women having it all. We never could and we never shall. Women always have to make the difficult choices. But there is a great consolation in simply doing something you love. You always have one foot in two places. You can never be truly happy because, from the moment you leave, you are two selves, and wherever you are one half of you is always calling to the other. You gotta have places where people can meet and talk and exchange ideas and it not just be about money, you know? Books are what teach you about life. Books teach you empathy. But you can’t buy books if you barely got enough to make rent. So that library is a vital resource! You shut a library, Louisa, you don’t just shut down a building, you shut down hope. You’re going to feel uncomfortable in your new world for a bit. It always does feel strange to be knocked out of your comfort zone. Like too many girls, life had chipped away at her until, instead of finding what truly suited her, she camouflaged herself, hid the bits that made her different. For a while she let the world bruise her until she decided it was safer not to be herself at all. There are so many versions of ourselves we can choose to be.